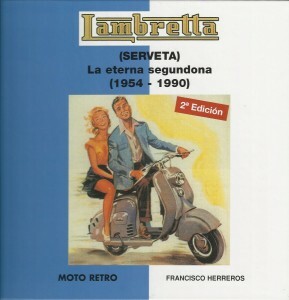 An overview of some interesting Lambretta books and other scooter literature for the Lambretta enthusiast. 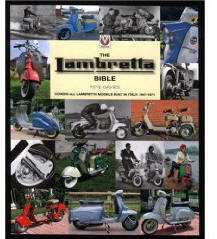 Recent Lambretta books are still available from specialized scootershops or bookshops, others are lucky finds. An in-depth look at the world’s finest scooter from the Model A to the GP 200. The Lambretta story doesn’t end there though, with the focus moving onto machines prepared and built by Lambretta Concessionaires. The book ends with a look at the main British dealer specials of the 1960s. Davies begin his interest in Lambretta scooters. Through the 1980’s continuing until today Pete has owned a variety of Lambrettas made in Italy, Spain and India, from the humble LD 150 to a tuned GP 150. In 1999 Pete undertook the role of Vehicle Registrar for the Lambretta Club of Great Britain and with this role came a desire to discover far more detailed information on Lambretta scooters, wherever they were built. Now running the British Lambretta Archive Pete is still discovering and sharing information on the world’s finest scooter. 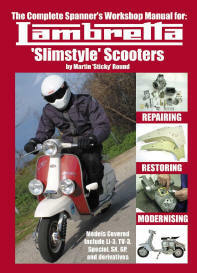 The Complete Spanner’s Workshop Manual for: Lambretta Slimstyle scooters. By Andrea and David Sparrow. 90 superb original colour photographs Brief background history of the company Full story of the LI series. 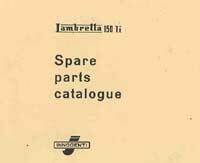 Basic specification and statistics Quotes, and interesting facts and feats Introduced as a more stylish and versatile alternative to the popular and practical Lambretta LD series, the LI was produced by Innocenti in various guises from 1957 until the last Lambretta’s of all rolled off the production line in 1971. 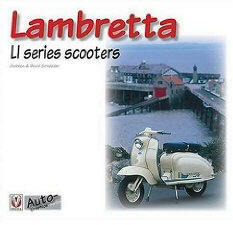 The LI series scooters were the most popular Lambrettars of all – the machines that people of a certain age remember affectionately from their youth, coming in a range of bright colours and with shiny chrome. The LI Series was a fast-selling success for Innocenti – not just in its native Italy, but also throughout Europe and elsewhere in the world. Lots of beautiful colour photographs. Includes Lambretta scooters and sidecars, mopeds, sidecars, 3-wheeled delivery vans, Jimmy’s – Quadrophenia cult film – scooter. By Vittorio Tessera, one of Italy’s most important scooter collectors. 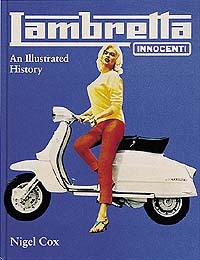 If you only ever buy just one book on Lambretta then this must be the one. Beautifully illustrated with colour contempory, as well as origional photo`s, for once it is the original black and white shots which really shine. The quality of printing and paper is more than up to the job and the result is a feast for the eyes. It is the thoroughness and depth of knowledge that informs the text which elevates the book from being merely nice to look at, into an invaluable reference work that repays its rather high price every time you pick it up. 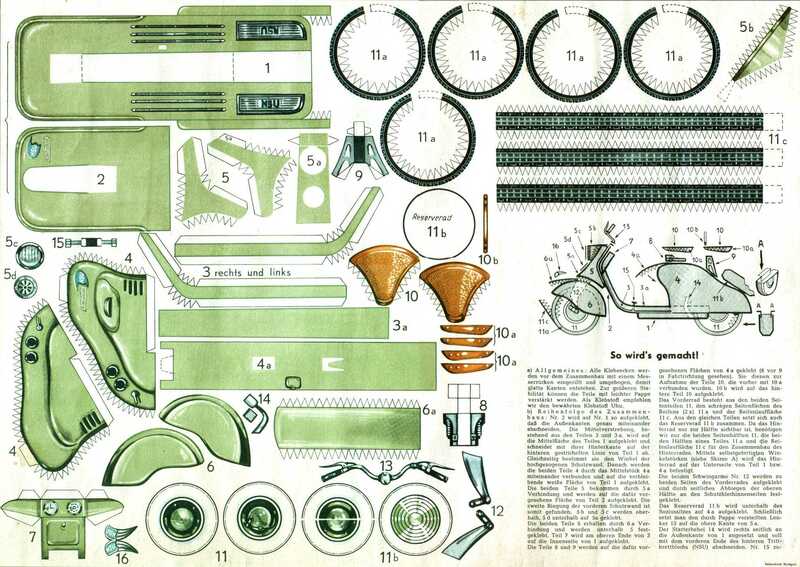 The sections on the development of Innocenti into an industrial giant is informative and lively, but it is when Mr. Tessera gets to grips with the scooters that form the spine of the book and each model is investigated in depth, which when combined with the photo’s means you need never get stuck with a ‘factory fresh’ restoration again. Only very occasionally does the translation from Italian to English get a bit sticky and the sections on the factory prototypes are just amazing. In conclusion the only criticism is that it is so complete a work that its hard to see how there is any room for further works of a similar standard. 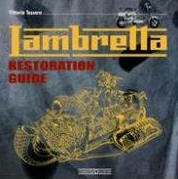 The second issue comes bundled with the Restoration Guide. 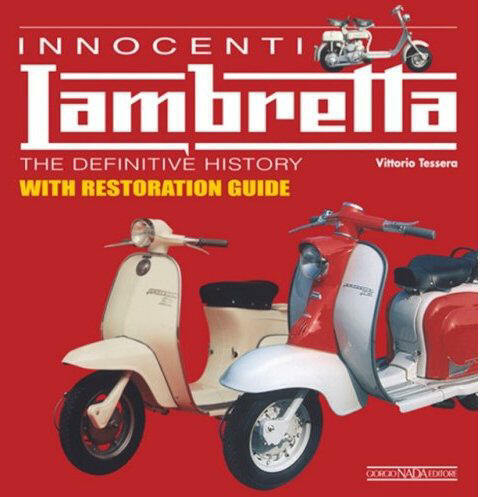 Charts the history of the Italian Lambretta, from its introduction just after World War II by the Innocenti Company in Milan, through to 1972 when they stopped production and sold the tooling to the Lambretta manufacturer in India. Every Italian model is listed including mopeds and three-wheelers. compiled by Ken Herlingshaw, written by Edward Stott, revised by Arthur Francis. 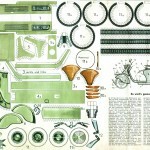 Covers the servicing and repairs of all Lambretta scooters strating from LI series. Included routine servicing and maintenance, ignition and lighting, carburetion, engine, transmission, controls, wheels, hubs and brakes, suspension and steering, frame and fitting, wiring plans, carburetor jetting details and main feature tables. an exact and authentic reproduction of the unique and highly acclaimed original which was produced in the 1960’s when Lambretta was the number one in total two-wheeler sales in the United Kingdom. Covers all LI/TV/SX and GP models. 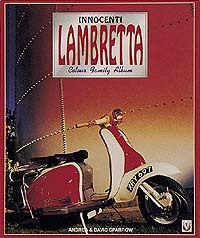 This book contains many interesting stories about Lambretta scooters by the late Mike Karslake. It includes lots of historical illustrations. 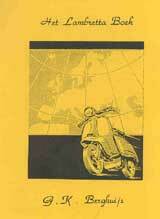 Lambretta Club Nederland published this book in memory of the 10th anniversary (’82-’92) of the club. 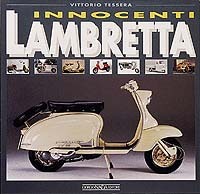 It includes lots of facts, images about Innocenti scooters and also the companies that made lambretta scooters under license like NSU and SIL. Full detail on all spec’s and serialnumbers. Printed in the Dutch language. 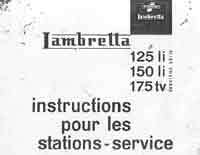 Service manual for Li Series 2 in French. Like to cut a Lambretta from a sheet of paper? click on the sample image.